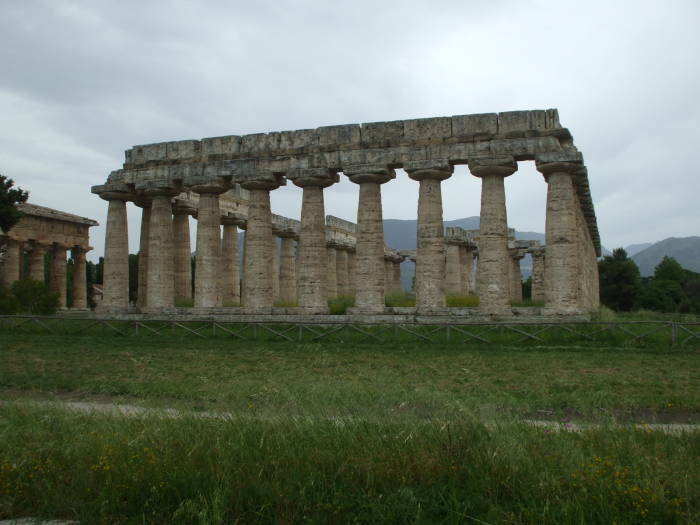 Paestum was a major city of Magna Graecia, a Greek area of the Roman Empire in the southern part of the Italian peninsula. 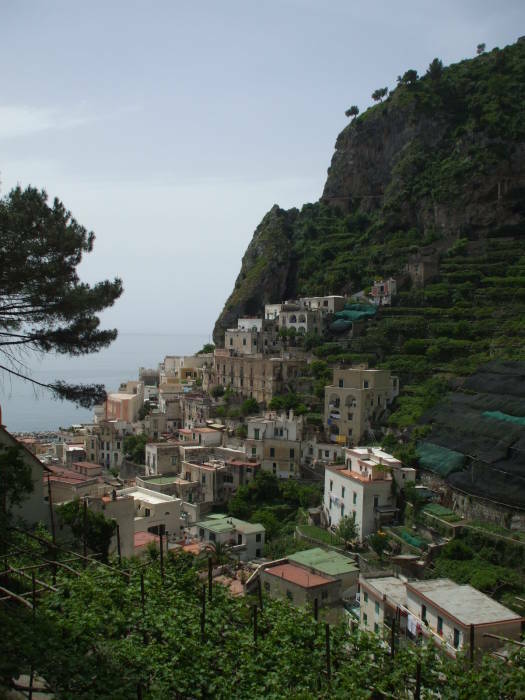 It's south of Salerno, easily visited on a day trip from the Amalfitani coast. 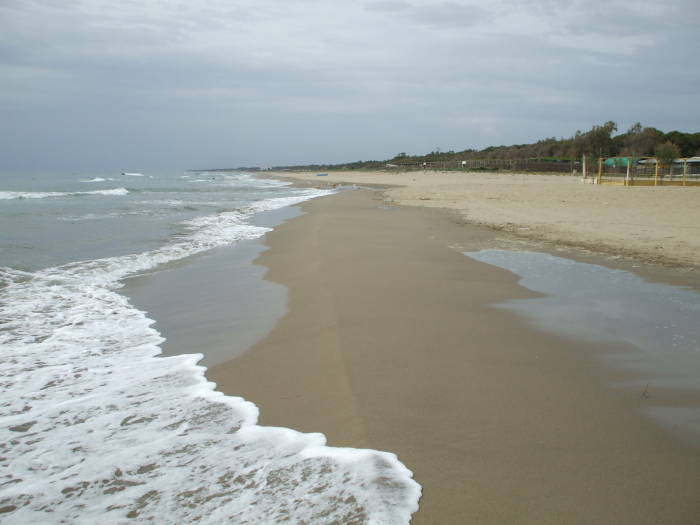 It could also be visited on a full day trip from Naples. Magna Graecia was the Latin for "Greater Greece". The people who settled it would have called it Μεγαλη Ελλας or Megale Hellas, "Greater Greece". Greek settlers colonized southern Italy and Sicily in the 8th Century BC. It was absorbed into the Roman Republic after the Pyrrhic War (280-275 BC). However, a small population in the "heel" of Italy still speaks Griko, a language combining ancient Doric, Byzantine Greek, and Italian. 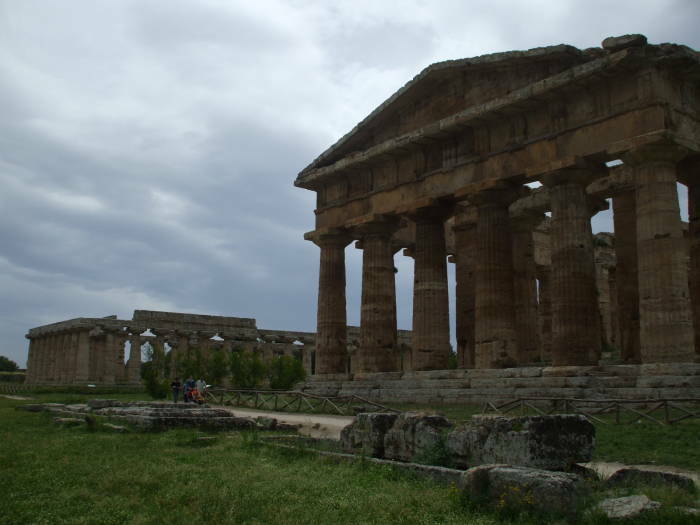 A major city was Ποσειδονια, or Poseidonia, called Paestum in classical Roman times and today. 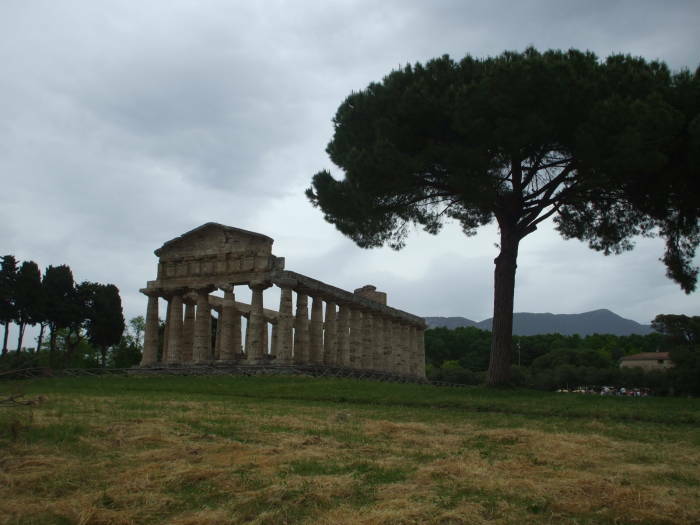 Paestum is south of Salerno, an easy day trip from the Amalfitani coast and not far south of Naples. 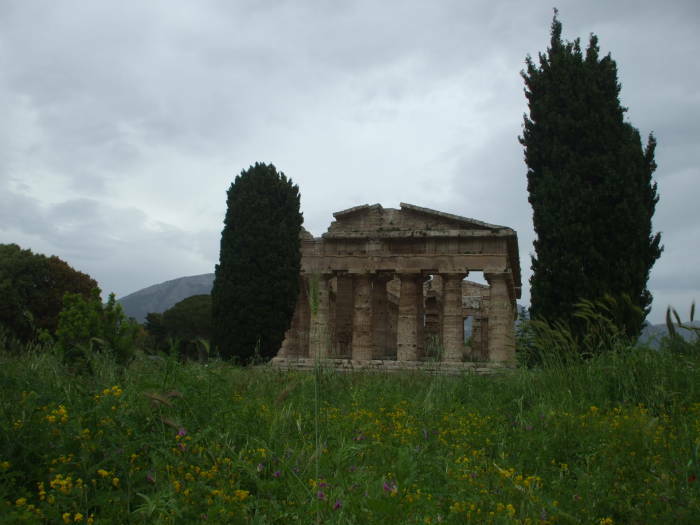 To get to Paestum from Salerno, take the bus. The schedule should be something like the following. 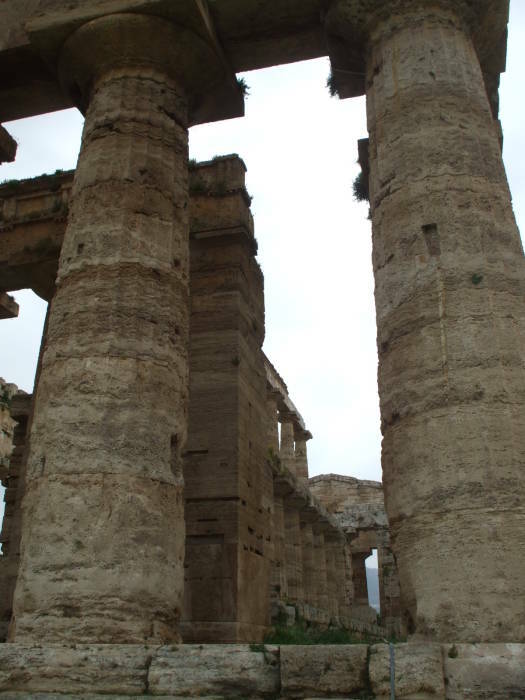 Do check the return schedule carefully, to avoid getting stuck in Paestum overnight without any place to stay! 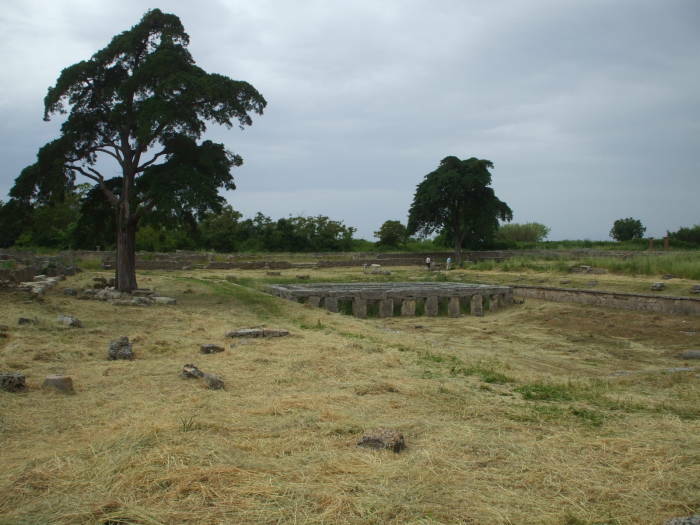 CTSP bus number 34 runs south through Paestum from Salerno. It leaves from the bus stop along Piazza della Concordia, about halfway from the train station to the ferry pier. The city remained faithful to Rome during Hannibal's invasion of Italy, winning it special favors such as the minting of its own currency. 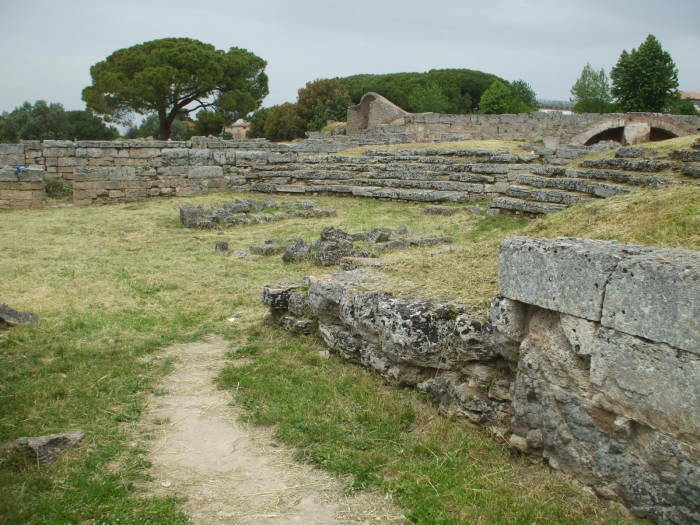 It prospered for centuries, but declined as Rome did. 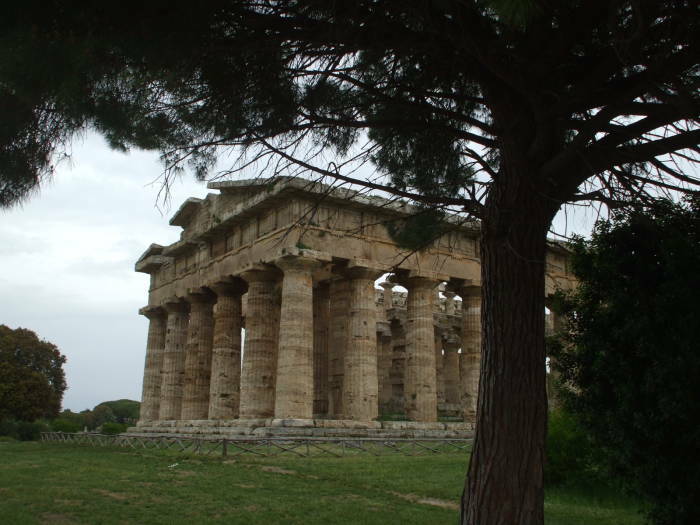 Paestum was abandoned by the Middle Ages and largely forgotten. Drainage had changed, leading to swampy conditions and malaria. 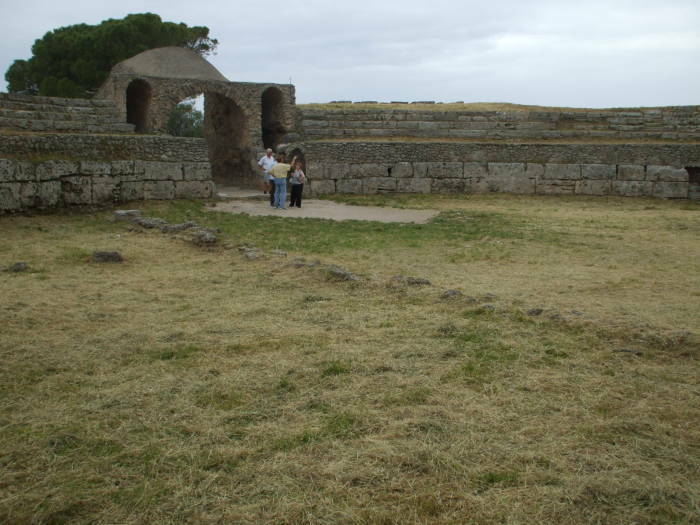 Interior of Temple of Apollo. 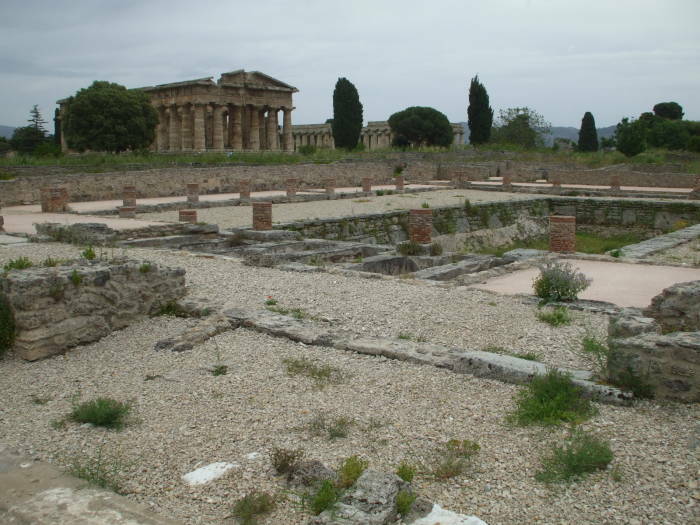 When Pompeii and Herculaneum were rediscovered in the 1700s, these massive ruins started to get some attention again. Now it's hard to imagine it being abandoned due to its being a malarial swamp, as the area has become pretty dry. 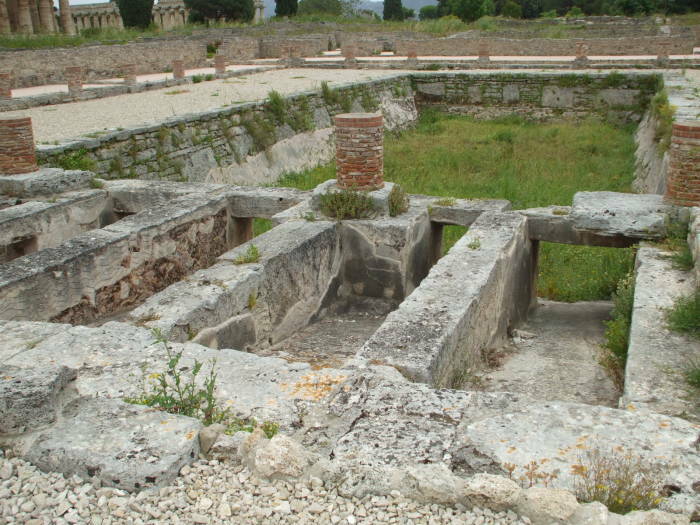 As a culturally Greek but Roman administered city, Paestum had major bath facilities and other water infrastructure. 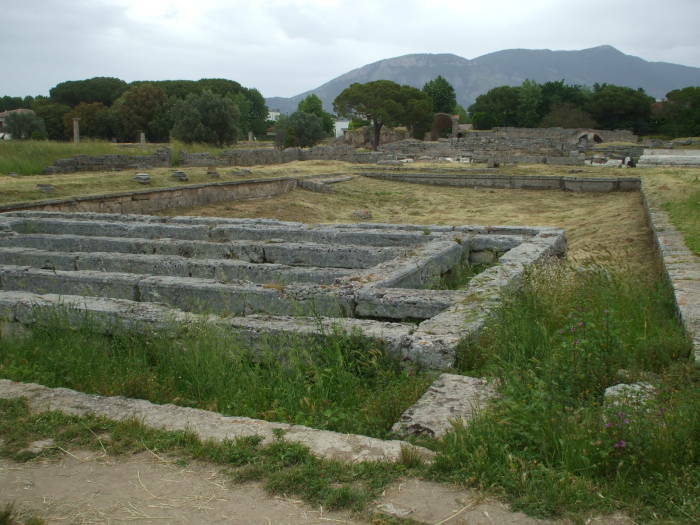 Here you see the supports for the raised and heated floors in one of the major baths in Paestum. I believe that this was a pool, although it may have been a bath instead. 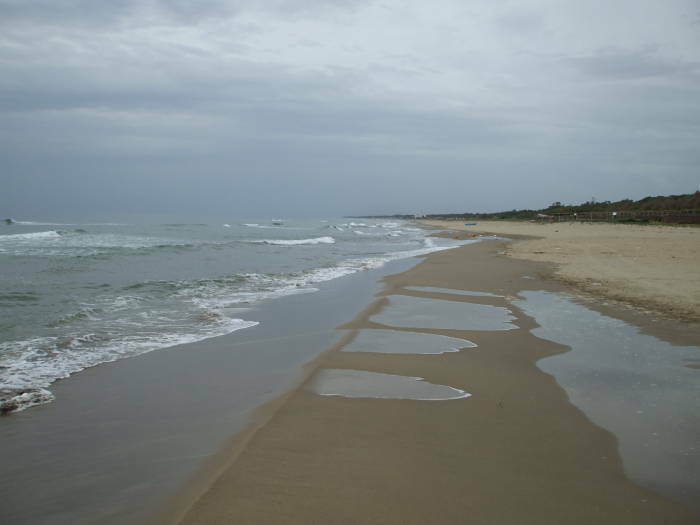 When you're done seeing the ancient history at Paestum, it's just a short 1.5 kilometer walk to the beach and the site of the 9 September 1943 landing of the U.S. 36th Infantry Division during Operation Avalanche, the Allied invasion of Italy. After the defeat of the Axis Powers in North Africa, the Allies disagreed as to the next step. 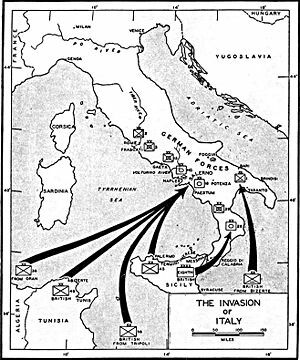 Winston Churchill especially wanted an invasion of Italy, "the underbelly of Europe". However, General George Marshall and most American planners wanted to avoid all delay of the Normandy invasion. When it became clear that the Normandy invasion could not happen until 1944, Operation Husky, the invasion of Sicily, was approved. It happened in July 1943 and was very successful, soon followed by a coup deposing and imprisoning Benito Mussolini. U.S. Army map of the 1943 invasion, click here for a detailed version. U.S. War Department map of the 1943 invasion, click here for a detailed version. Rather than try to gradually move up the rugged Italian peninsula, the Allies wanted to take the major port at Napoli (Naples). However, Napoli was beyond (or just barely at) the range limit for Allied air cover. 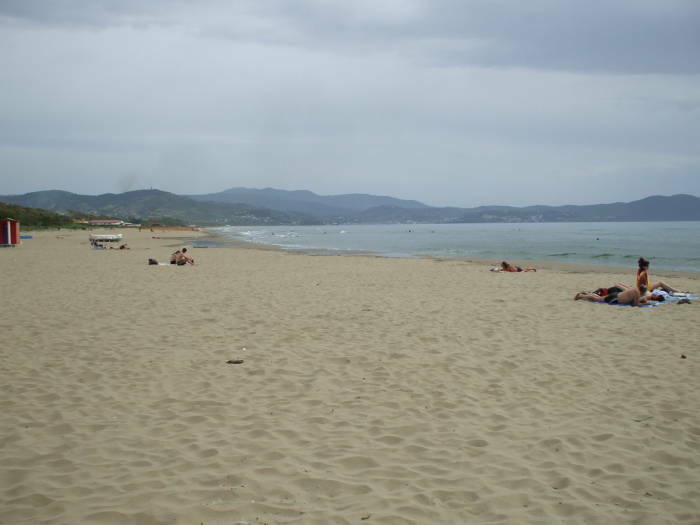 The beaches south of Salerno were a little closer, and they provided much better landing opportunities as shown below. 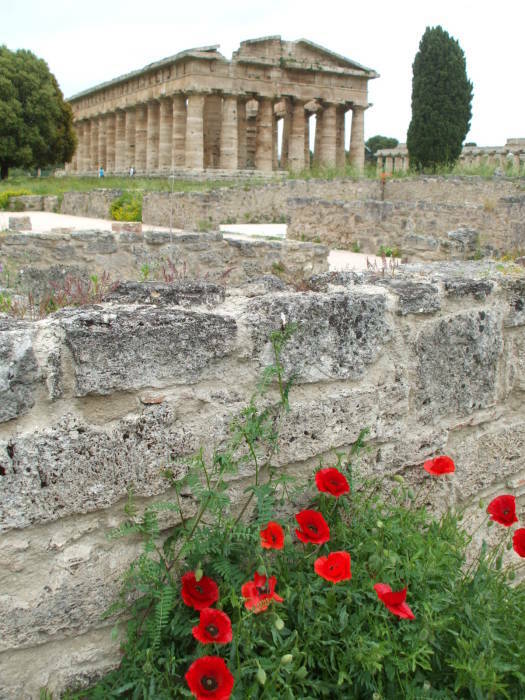 The U.S. 36th Infantry Division landed right at Paestum, and the initial hours of the battle passed through the ruins. 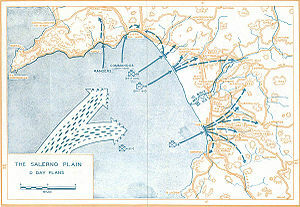 As shown on the map, most of the forces landed on the relatively flat river deltas south of Salerno. 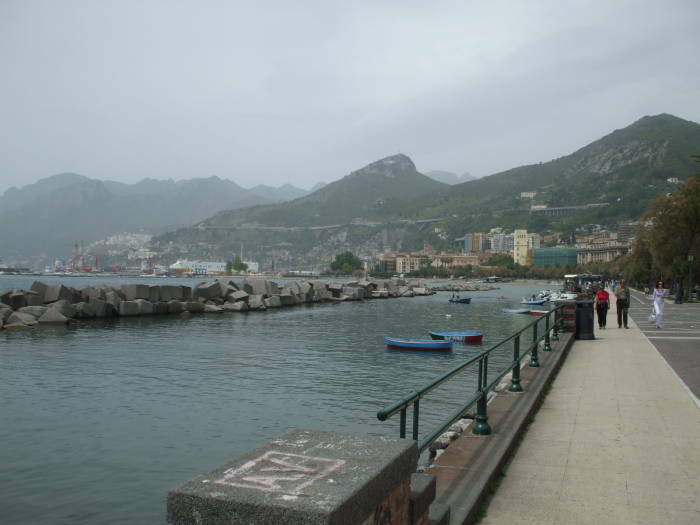 The coast west from Salerno through Amafi to the tip of the peninsula is very rugged, with cliffs and nearly vertical slopes 100 to 200 meters high and only very small beaches or piers at a few towns. 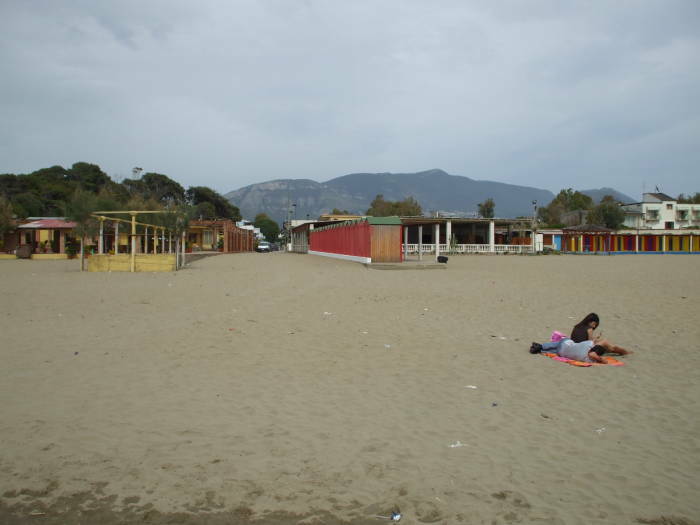 See my pictures of the coast at Salerno and to its west for why landings on the Italian coast have limited choice. 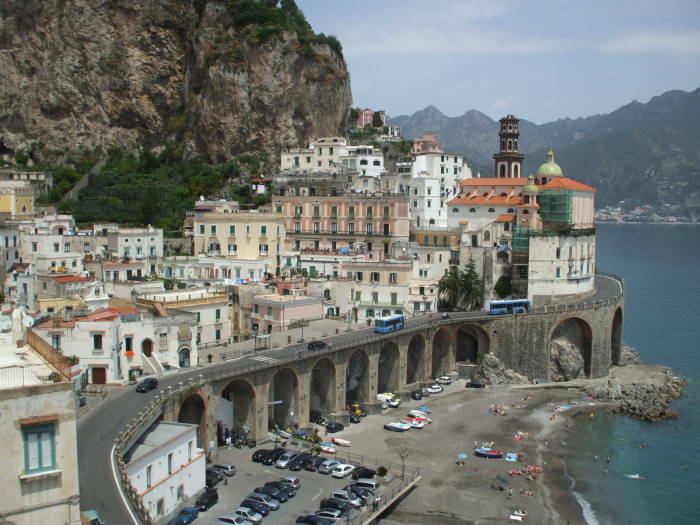 Atrani, on the Amalfitani coast west of Salerno. 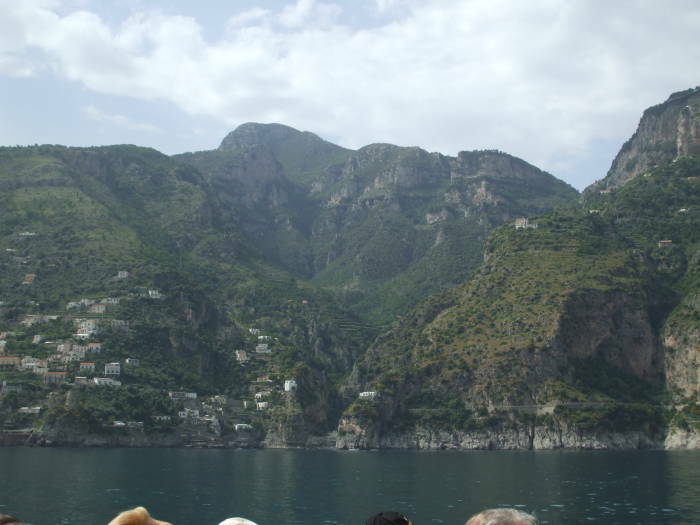 The coastline above the Salerno harbor. Amalfitani coast between Positano and Amalfi, west of Salerno. 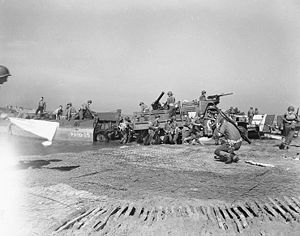 U.S. Navy photograph of the Salerno landing beach, click here for a detailed version. However, the following war up the length of the Italian peninsula was brutal. The German forces had been in place for a few years, and had had plenty of time to plan and build defenses. 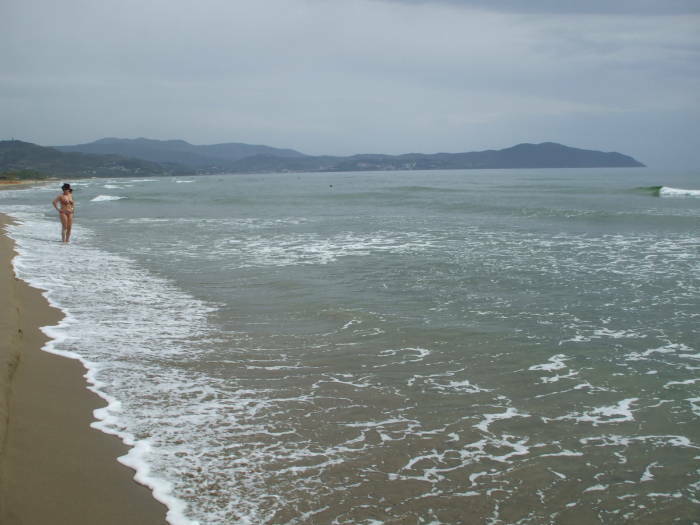 The Allies slowly pushed them north up the peninsula, but it was a matter of hard fighting for each defensive line (typically along a river running down from the central Apennines to the coast). The Germans would then fall back to their next hardened defensive line. 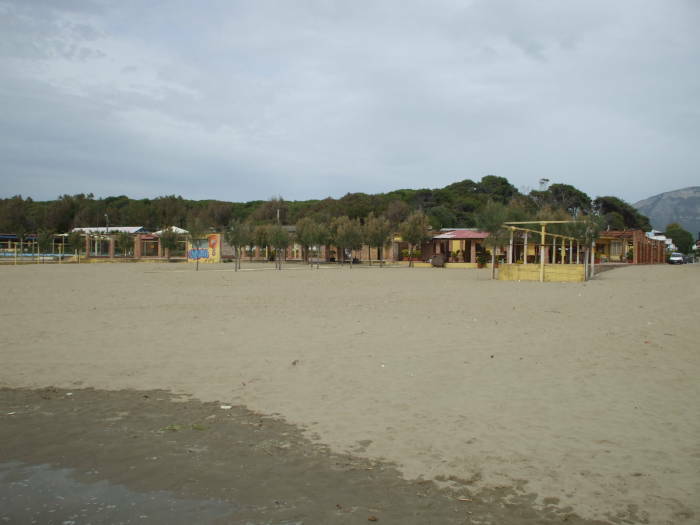 Today the beach near Paestum is a holiday spot. 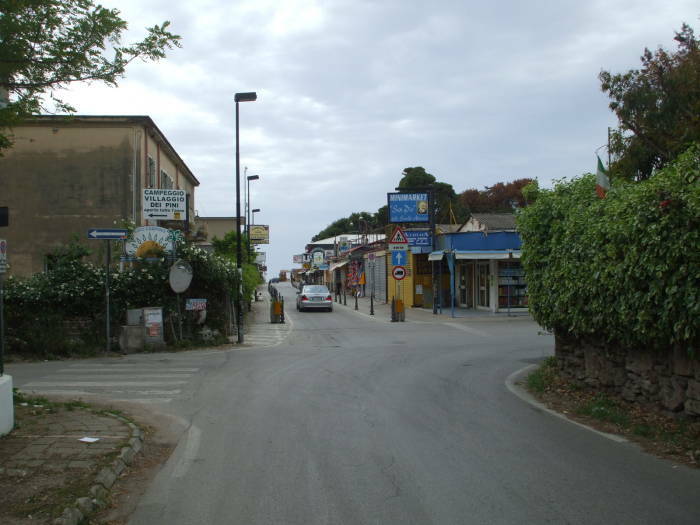 You see the restaurants and cafes as you approach from Paestum. 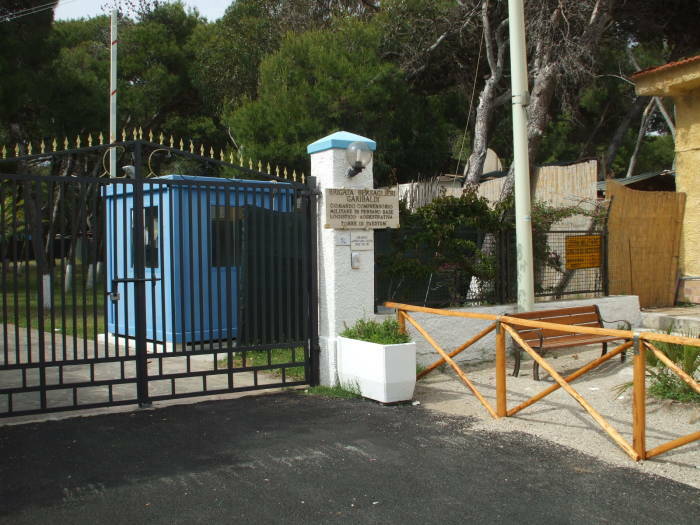 One reminder of its heritage is the small Italian military logistics facility there.